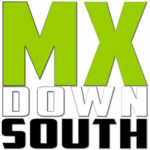 MX Down South will be at Hawk Pride MX this weekend for the Luke Gibson Koth of the Hill Series race. Check out @chadmartin515 on twitter for race and practice updates. Discuss HPMX in the HPMX Forum. Track is 1.3 miles in length. Camping is available including private restrooms, showers and handicap accessible. Bike wash located next to restrooms. No need to tote your pressure washer with you, washing station on premises. We will have more information and tons of pictures after the first event. Check out www.hawkpridemountainoffroad.com for driving directions and other info.